The RRP fax number and the postal box will cease to exist in the course of the year. Our address, email and phone number you find here. We are proud to announce that we have moved into our new building at the Agro Business Park in Wageningen, the Netherlands. Click here for the full address and contact details. Sept 2015 Rhizosphere Research Products will move to a new location at the Agro Business Park in Wageningen. Our email address remain the same, the postal address and phone number will change. You can find the new contact details here. 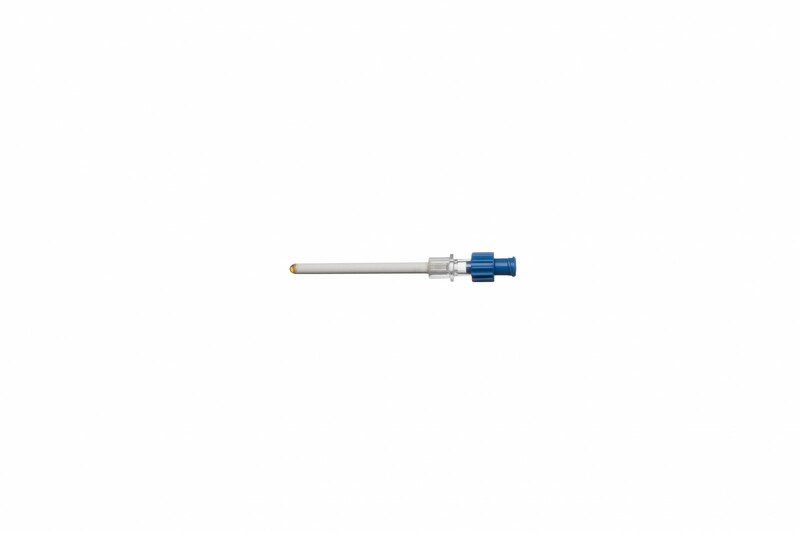 March 2014 Our assortment has been extended with syringes with Luer tip for MicroRhizons. These syringes can be connected directly to the MicroRhizons. Jan 2014 As of January 2014 the business organisation has changed to Ltd. The official name is Rhizosphere Research Products B.V. The RhizoCera with an external diameter of 3 mm have been replaced by RhizoCera with an external diameter of 4 mm. RhizoCera are the type of Rhizons to use when mechanical strength is important, for instance when there are stones, gravel or cracking soils, or when there are rodents or biting insects. RhizoCera with an external diameter of 4 mm are stronger and better than those with an external diameter of 3 mm. RhizoCera with an external diameter of 1 mm are still available as usual. Read more on the product page of RhizoCera. Sep 2012 From now on, the production of Rhizospere of Research Products is powered entirely by solar energy. The installation of solar panels contributes to a sustainable business management. 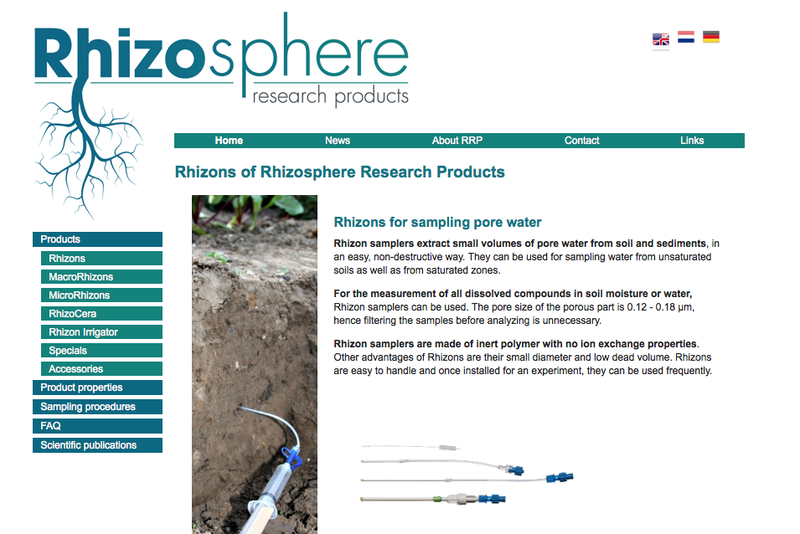 June 2011 New product available: RhizonBoxes for direct sampling of soil moisture in the rhizosphere during growth experiments. 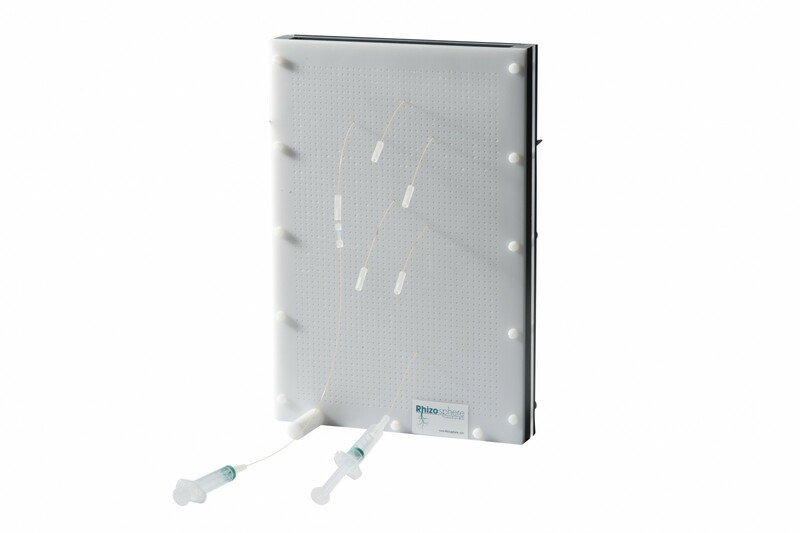 Thanks to more than 2000 holes in the front plate, the RhizonBox allows direct sampling near the roots with MicroRhizons. You can purchase your RhizonBox under article number 19.31.80. Oct 2010 The composition of the PVC/PE tubing in Rhizons has changed: TOTM (trioctyl trimellitate) has replaced DOP (dioctyl phtalate) as plasticizing agent. However the migration of DOP into the samples already was negligible, the migration of TOTM is even better: it is almost zero. This change in the composition of the medical tubing used by Rhizosphere was implemented for medical and environmental reasons. From now on, all our vacuum tubes are plastic ones. Glass is no longer available. Due to the risk of breaking glass, producers changed to plastic vacuum tubes. The protection caps for the Rhizon samplers are available in two colours: blue and red. This can be helpful to recognize your samplers, e.g. samplers at a different sampling depth in pot experiments. April 2010 Our website is online! We are happy to give you information about Rhizons. We continue to work on the website to give you even more information on the different types of Rhizons, their properties and the way to use them. If at this moment you have any questions and you don’t find the answer on the website, don’t hesitate to ask us. Your mail sent to info@rhizosphere.com will be answered as soon as possible. March 2010 Rhizosphere Research Products has a new logo. The roots illustrate the area we focus on with our products: the rhizosphere. Moreover, the roots symbolize the place of our company in your research project: just at the beginning, the root, when you are taking the samples and don’t know anything about the results. We hope that our Rhizons help to make your research grow!